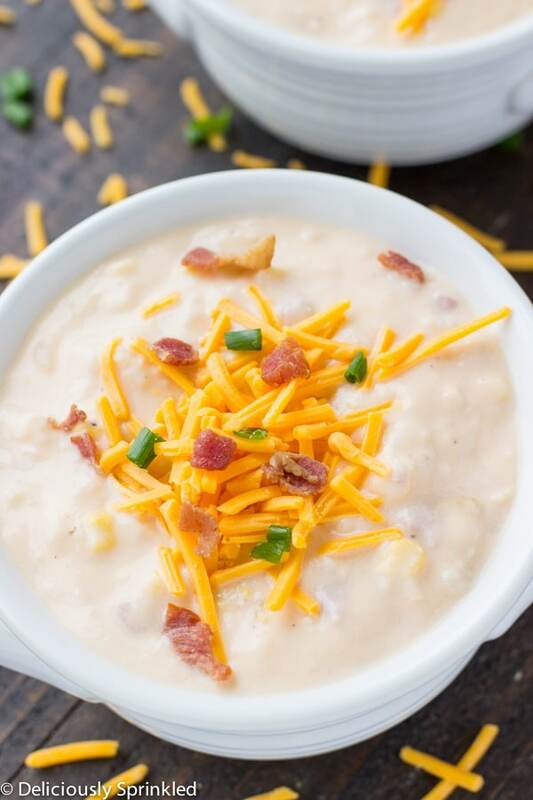 This Slow Cooker Cheesy Potato Soup is creamy, cheesy and full of flavor making it a delicious soup the whole family will love. I love love love soup! I eat soup year round, it’s not just a winter thing. 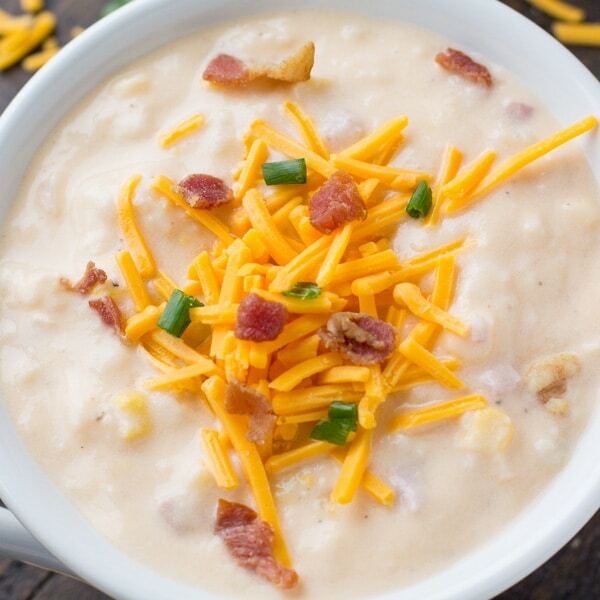 This Cheesy Potato Soup is so delicious. It’s full of potatoes, cheese, and bacon. 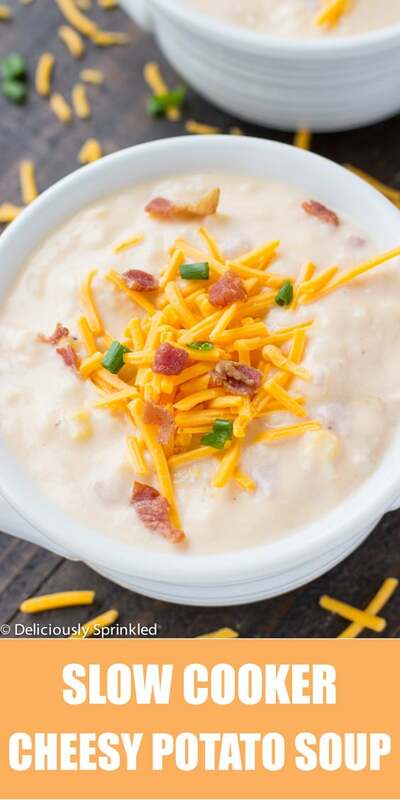 I’ve tried a TON of potato soup recipes and they were never as good as I was hoping…some were too watery, some didn’t have enough flavor. So I came up with my own potato soup recipe and it’s the BEST! 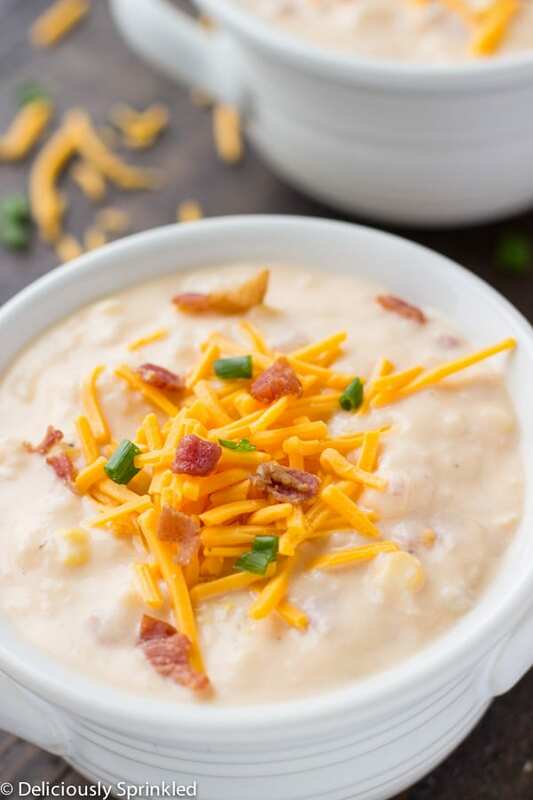 Just dump everything in the slow cooker and in a couples hours, you will have a delicious cheesy potato soup! ● FROZEN HASH BROWNS: 2 (32 oz.) packages of diced frozen hash browns. ● CHICKEN BROTH: 3 (14.5 oz.) cans of low sodium chicken broth. 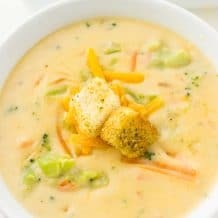 ● CREAM OF CHICKEN SOUP: 1 (10 oz.) can of cream of chicken soup. ● DICED HAM: 2 cups of diced ham. ● CORN: 1 (16 oz.) package of frozen corn. 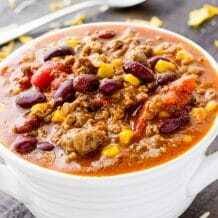 You can also use canned corn or fresh corn. ● ONION: 1 medium onion. ● GARLIC SALT: 2 teaspoons of garlic salt. ● PEPPER: 1 teaspoon of pepper. ● HEAVY CREAM: 1 cup of heavy cream. ● CREAM CHEESE: 1 (8 oz.) package of cream cheese. ● CHEDDAR CHEESE BLOCK: 1 cheddar cheese block. You will need 2 cups of FRESHLY GRATED cheddar cheese. 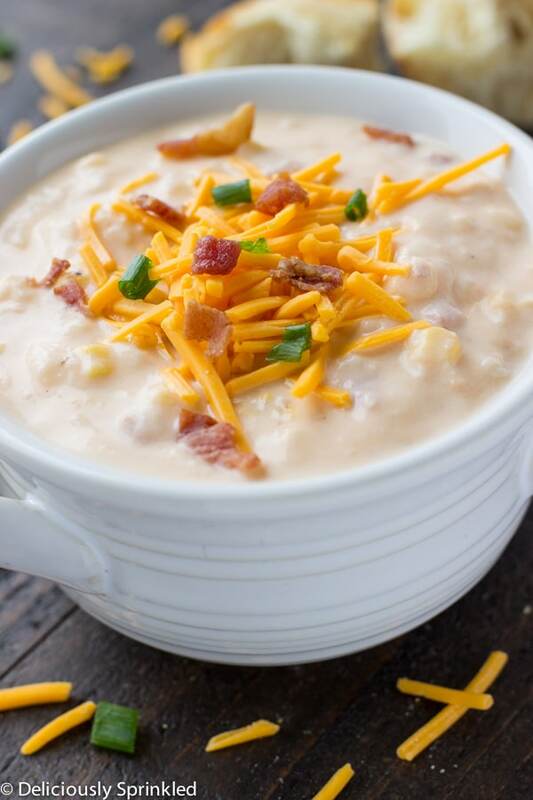 ● BACON: I like to sprinkle some cooked bacon pieces on top of the soup. ● GREEN ONIONS: Add a couple of green onions as a topping too. STEP 1: In the slow cooker, combine frozen hash browns, chicken broth, chicken soup, ham, corn, onion, garlic salt, and pepper. STEP 2: Cover and cook on HIGH for 4 hours or LOW for 6-8 hour. STEP 3: Add heavy cream and cream cheese, stirring until well blended. STEP 4: Add shredded cheese, heat until cheese melts. STEP 5: Serve and top with bacon pieces, green onions, and shredded cheddar cheese. FROZEN DICED HASH BROWNS: OK…so you know I’m ALWAYS looking for ways to make recipes as EASY as possible. Well, when I first tried this recipe I used Yukon potatoes, boiled them first and then put them in the slow cooker. 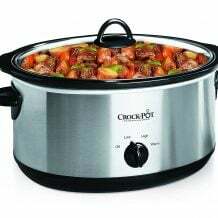 I was like…wow, that was a lot of work and when I’m making a slow cooker recipe, I want to be able to dump all the ingredients in the slow cooker and turn it on. So I decided to try uses frozen diced hash browns instead and the soup turned out just as delicious without all the work! 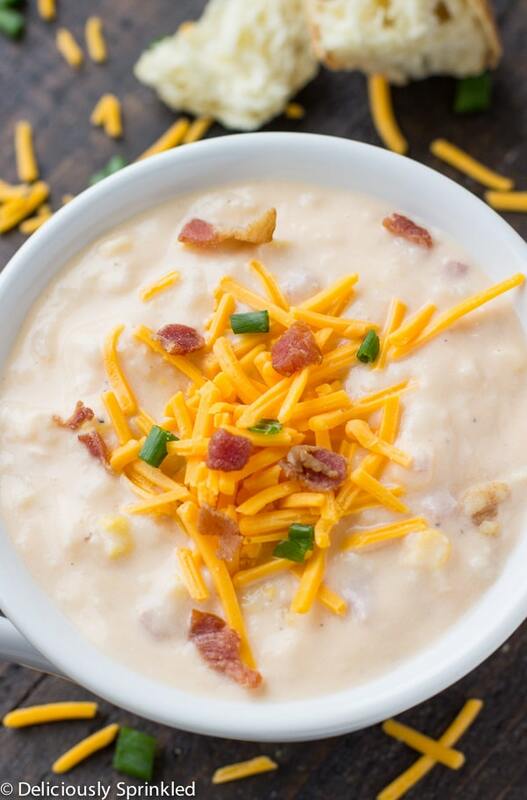 TOPPINGS: I like to top this cheesy potato soup with bacon bits, cheddar cheese, and green onions. FREEZE IT: We always have leftovers because it’s just my husband and I right now, so I just place the leftovers in a freezer bag and it stays good in the freezer up to 3 months. 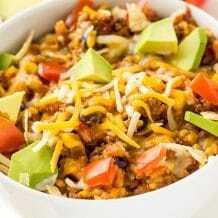 SLOW COOKER: This is the slow cooker I use and love! 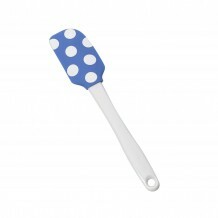 SPATULAS: These spatulas are perfect for mixing soup. 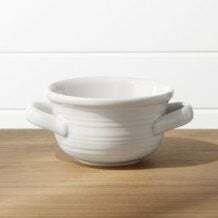 SOUP BOWLS: These are my favorite bowls to use for soups and chili. In the slow cooker, combine frozen hash browns, chicken broth, chicken soup, ham, corn, onion, garlic salt, and pepper. Cover and cook on HIGH for 4 hours or LOW for 6-8 hour. Add heavy cream and cream cheese, stirring until well blended. Add shredded cheese, heat until cheese melts. Serve and top with bacon pieces, green onions and shredded cheddar cheese. This sounds delish! What is the measurement of hashbrowns that you use? Agree! Soups are four seasons’ favourites in my family, as well ! Thank you for the idea !